Starting now until September 11, you can partake in Ms. Splosion Man's second TMS (Title Managed Storage) challenge. As was the case for the first in-game challenge, which featured our very own Mr. Destructoid, real-world prizes will go to the top participants. 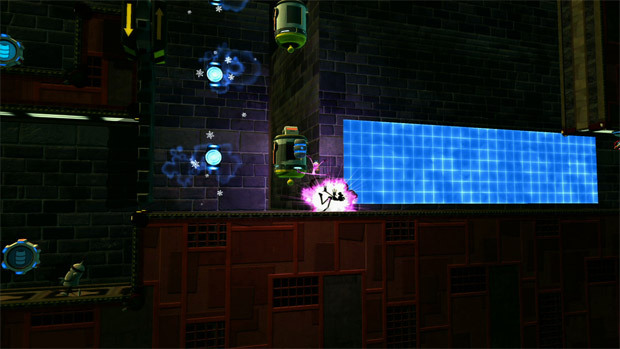 You can find and play the new level from the main menu of Ms. Splosion Man. In it are multiple Fruit F*ckers of Penny Arcade fame, all worth big points. Timely, isn't it? The top three on the leaderboards will get swag bags with prizes from both Twisted Pixel and Penny Arcade.